Your little skier is not going to like skiing very much if they are constantly stopping to adjust uncomfortable layers. That's why we like the Obermeyer Ultragear 100 Micro Fleece Top: it fits perfectly and provides plenty of comfortable warmth. This long sleeve mid-layer has a regular cut, so it won't feel tight or restricting. And it has flat-lock seams, specially designed to eliminate rubbing. This kid's ski fleece is so soft, you'll wish they made it in adult sizes. The Ultragear Micro Zip Top has a half-length zipper, easy to pull on and off over a hood and goggles. 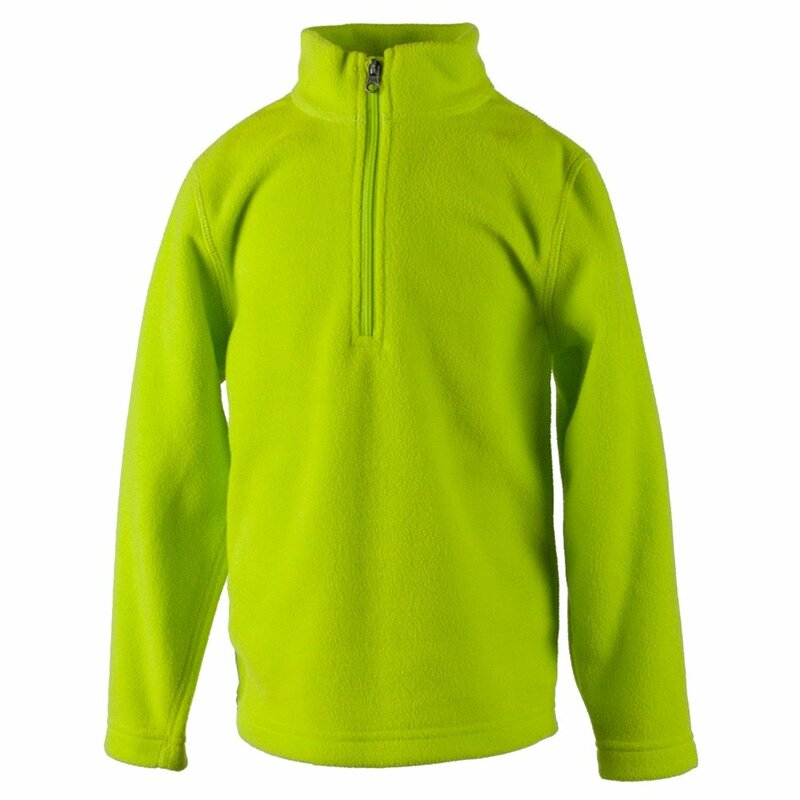 This super soft fleece is made from recycled materials. A loose cut makes this comfortable for all-day wear over a fitted baselayer. "Hi. Size M in size chart has two divisions - 38.5-41 and 41.5-44. Which height applies to the size M for Obermeyer Ultragear 100 Micro Fleece Top (Kids')? Same question for the size XS (29-31.5 and 32.5-35)." "You are going to want to look at the sizing for Kids' and not Little Kids' for sizing. A size Medium 10/12 in Kids' sizing can me found here. Hope this information helps. " "Is this top for little kids or kids-- size chart?" "Thank you for your inquiry. The Obermeyer Ultragear 100 Micro Fleece Top is for Kids, please reference "Kids" sizing in the Obermeyer size chart . We only have size medium, which is size 10/12. We hope this information helps! "